Android is one of the top operating systems in the world and several popular phone companies are based on the android operating system such as HTC, Samsung and Sony. There are millions of applications available in the android applications market and one of the popular categories is of the stock market and financial news. This is used by investors, agents and businessmen in order to make decisions on time while they are on the go. There are several financial applications available for the Indian stock market and here are the top 5 applications. At number 4, we have Top Indian stocks pro which is a paid application. The application offers various features including the top 3 Indian stocks. Several other features include gainers and losers, volume leaders, new high/low weeks, Gaps, market caps, Price/earning ratios. It also features the logo of various stocks and has an option for visual representation by charts and graphs. Lastly, the most attractive function is the stock exchange commentary which is conducted from a professional stock market specialist, market analyst and a trader. Support yahoo Server in US, UK, Germany, France, Spain, Italy, Australia, New Zealand, Singapore, India and Canada. At number 1, we have the popular Indian stock market application, instocks BSE / NSE for stock markets live applications and it allows you to view the latest news from the Indian stock exchange, NSE F&O, and also has quotes for Indian stocks. It also has an option for equity functions. This application has a lot to offer which is why it is the most downloaded indian Stock exchange applications. Get information on key global indicators like Nasdaq, Dow Jones, S&P500, FTSE 100, Hang Seng, Strait Times, Nikkei 225, Crude and forex rates of Indian Rupee vs US dollar and other major world currencies. Get business news from across Indian business sources and never miss what is happening in the markets in India. Crystal J. Briscoe is from Self Test Engine. Looking for IT exams help? Let’s take advantage of Self Test Engine self paced E20-002 training and pass your IT exams on first try. 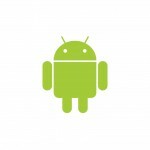 Much awaited Android software download list by was very good. I am using Instock ( I hope you also) its a very good one and useful. Alos let me know which are all DPs available on Android platform to trade other than shareknan. I am using Stock Today Android app. Its really amazing. Tried many stock market apps in the market but this is the best one with global stocks. Important feature of Stock Today is the Widget. Try this app. Speechless features just gone better and all for FREE. Realtime stock market app with currency converter(Portfolio+Converter), Trader’s Tool(Loaded with bunch of essential calculators like stock average, pivot point, Fibonacci Retracement, Profit Loss, Risk Reward, Stock Brokerage and many more.. enabled with auto calculate features), Stock Watchlist, Stock Portfolio, World Market all with realtime stock alerts in one Single App!! Checkout the app and I’m sure you will never regret! !